So now that you know How To Make Oat Flour, you'll want something to use it in - right? Well do I have the recipe for you! 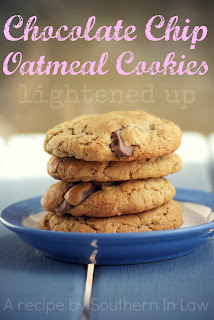 How about delicious lghtened up recipe for Chocolate Chip Oatmeal Cookies without all of the fat? That's right, these cookies taste just as good (If not better!) than the original, without all of the fat - and they can be gluten free too! But now the cookie debate begins. Do you like big, thick cookies or thin crispy cookies? This recipe can make either, just depending on how thickly you make the dough. Obviously I chose the thick hearty route! 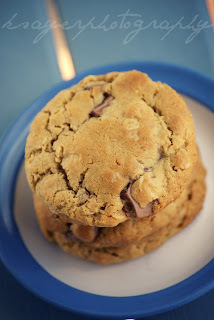 Thick cookies filled with a generous amount of mix ins are how I think cookies should always be. Jesse would agree, seeing as how when I make a batch of cookies around him... they miraculously disappear! makes 18 large, thick cookies or 30 smaller oness - lower fat and can be gluten free! Line 3-4 cookie sheets with baking paper. Melt butter in a microwave safe bowl and add in brown sugar, mixing until smooth. 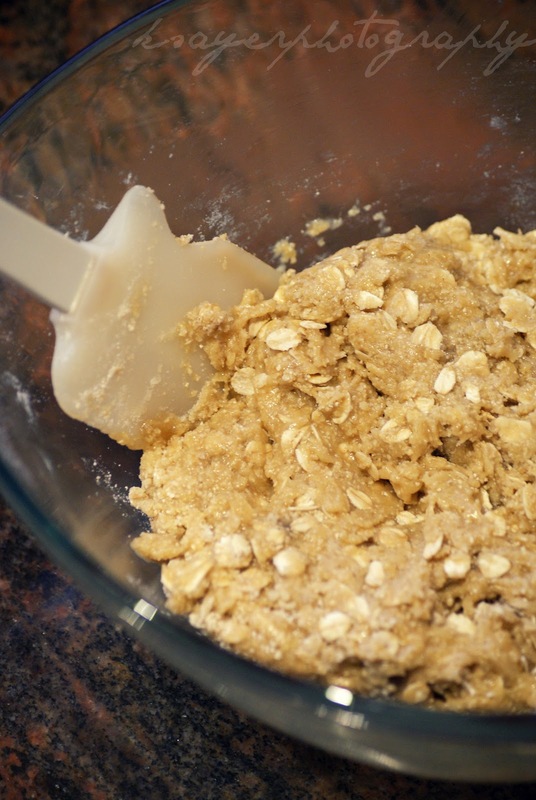 In a bowl combine oats, oat flour, flour and baking soda. Pour butter mixture into flour mixture and add in egg and vanilla. Mix until the dough is combined and add in chocolate chips. For big cookies: drop tablespoons of dough onto the cookie sheets with ~1 inch of room on all sides. For small cookies: drop teaspoons of dough onto the cookie sheets with ~1 inch of room on all sides. 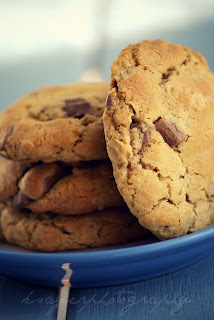 Store cooled cookies in an airtight container in a cool, dry place. 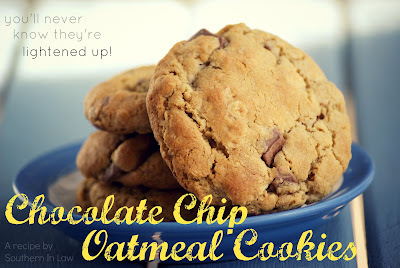 *when making this recipe gluten free, you need to use GF oats! So tell me, how do you like your cookies? Thick and hearty or thin and crispy?